I'm thinking about ordering a DCI DVD this Christmas for my dad who's a huge drum corps nut. Can you rundown the shipping options to make sure it arrives before the 25th? • UPS Ground: Delivery times vary. Recommend ordering Friday, Dec. 17 by 12 p.m. ET for delivery by Dec. 24. • UPS Second-Day: Order Wednesday, Dec. 22 by 12 p.m. ET for delivery on Dec. 24. • UPS Next-Day: Order Thursday, Dec. 23 by 12 p.m. ET for delivery on Dec. 24. • Any orders placed after noon on Dec. 23 will ship from DCI beginning Monday, Dec. 27. Don't miss out! You can receive free UPS Ground Shipping on your order if placed prior to 12 p.m. ET this Friday, Dec. 17. 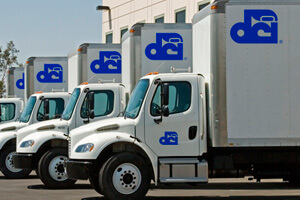 When checking out at store.DCI.org, simply choose the "Free Domestic Ground" shipping option. Certain restrictions apply. Call 317.275.1212, or shop online at store.DCI.org.